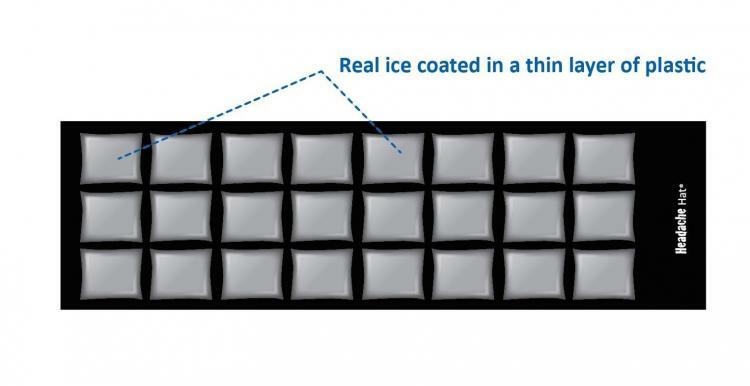 Whenever I get a headache, I usually chug about a 1/2 gallon of water to ensure I'm not dehydrated. 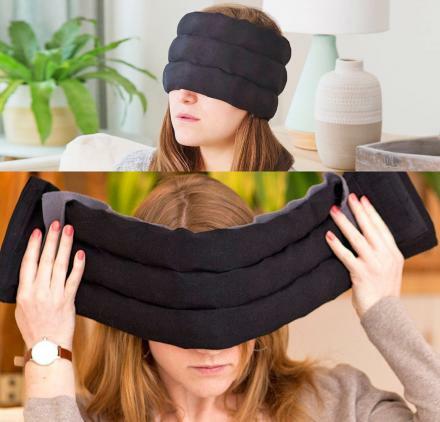 Then if I still have a headache after urinating for the next 2-4 hours, I might need to try something else. This unique headache relief hat might be your next best bet after popping a few Advil. 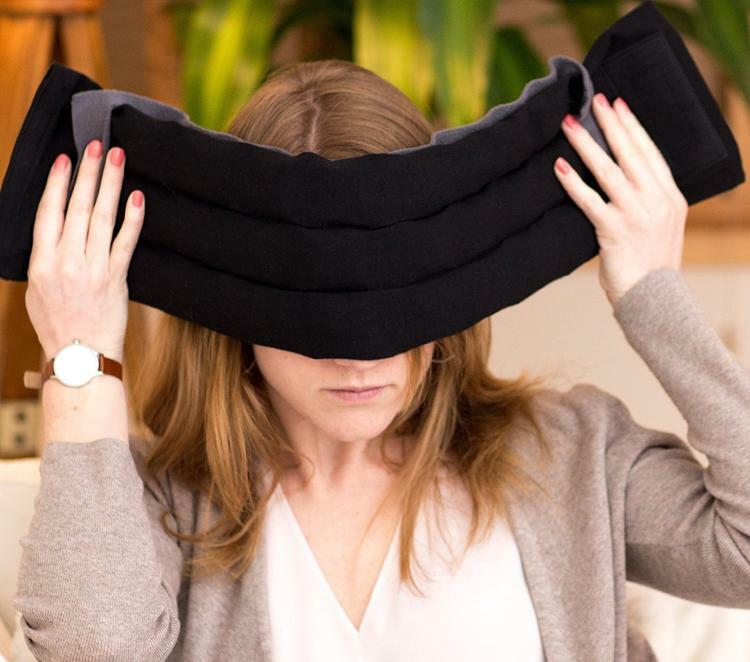 The headache hat wraps around your head to provide both pressure to your head, along with providing cooling relief using a reusable ice-pack hidden on the inside of it. 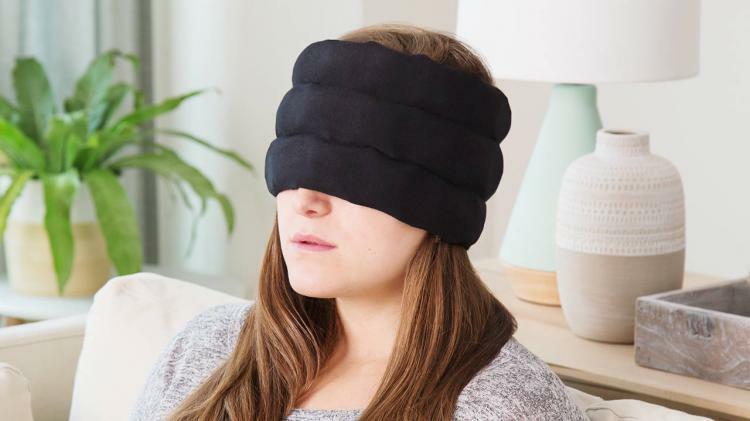 To use it, just keep the ice-pack in the freezer until you need it, then place it inside the head wrap, wrap it over your eyes and around your head, and lie down to help relieve the pain from a headache or migraine. 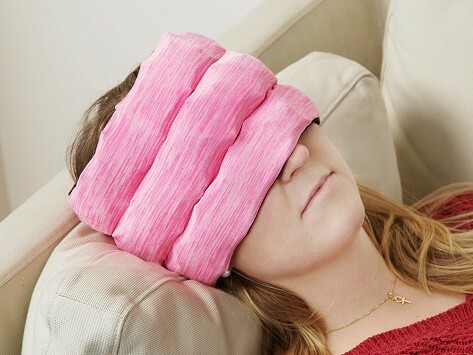 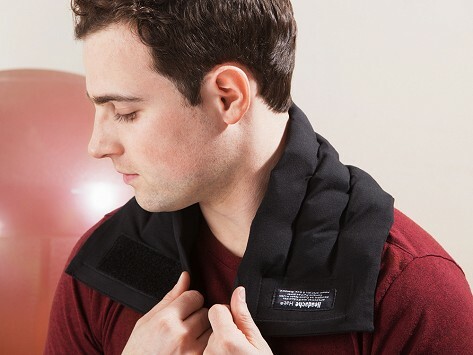 The headache relief head wrap is made from super soft spandex, cotton , and micro-fleece materials, it has a fleece barrier that goes between your head and the ice, and it works on your head, neck, or really any area on your body that might need cooling or tension relief. 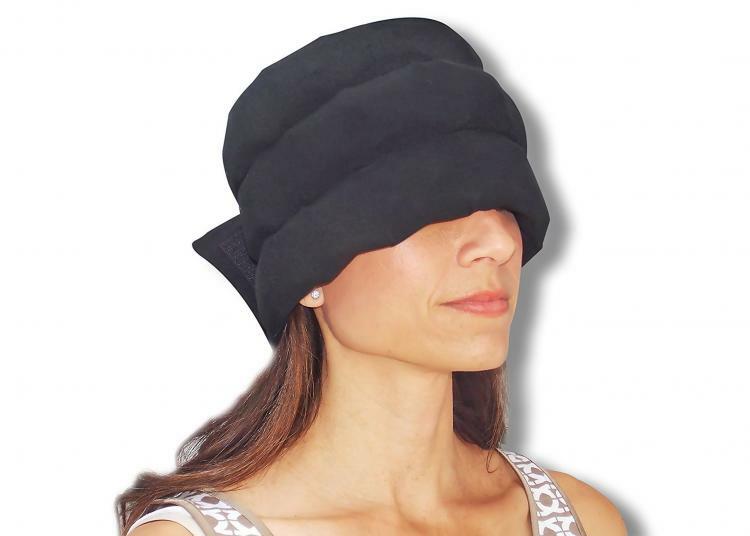 To clean the headache hat just wash by hand using lukewarm water with mild amounts of soap, and then hang dry. 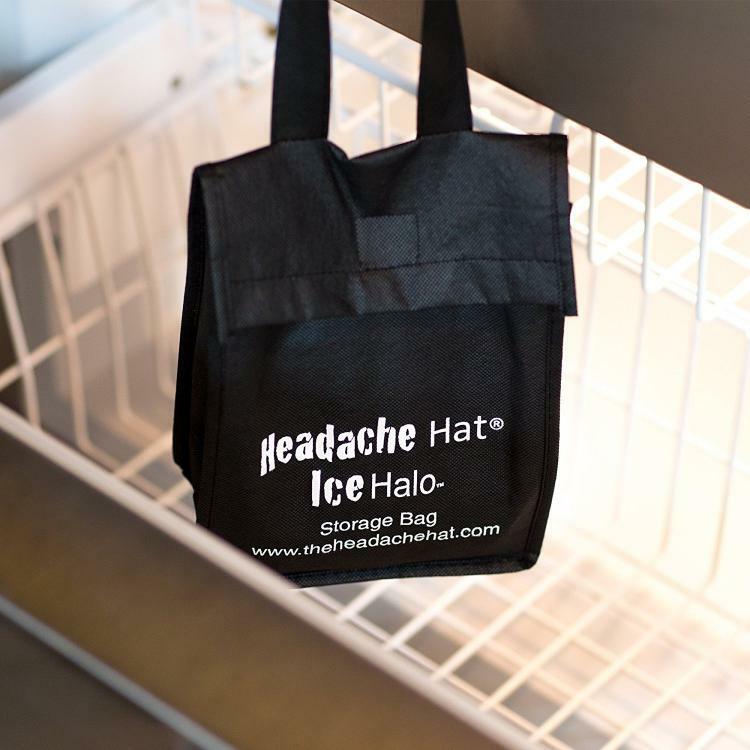 The headache wrap comes with 1 wrap, 24 ice cubes, a fleece barrier for temperature control, and a storage bag for when it's not in use. 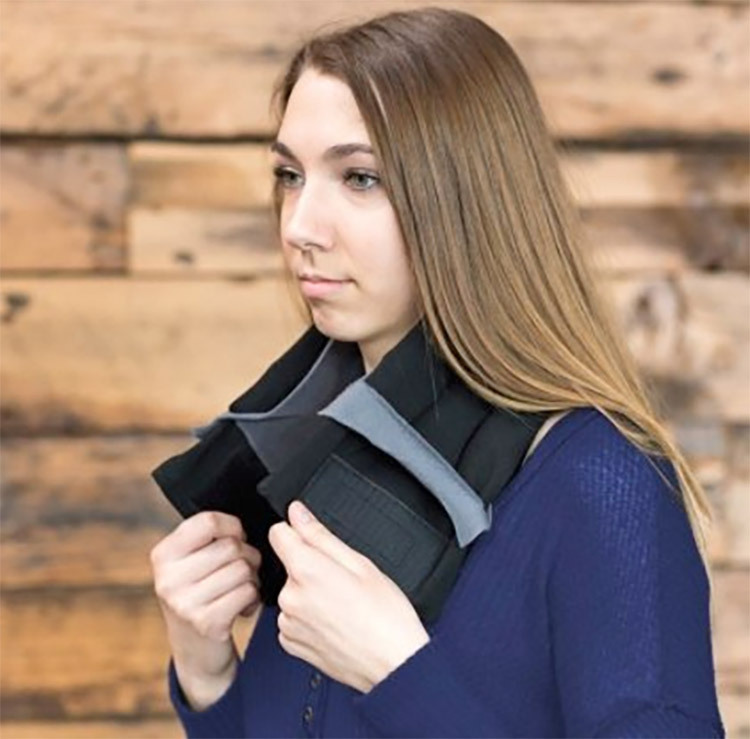 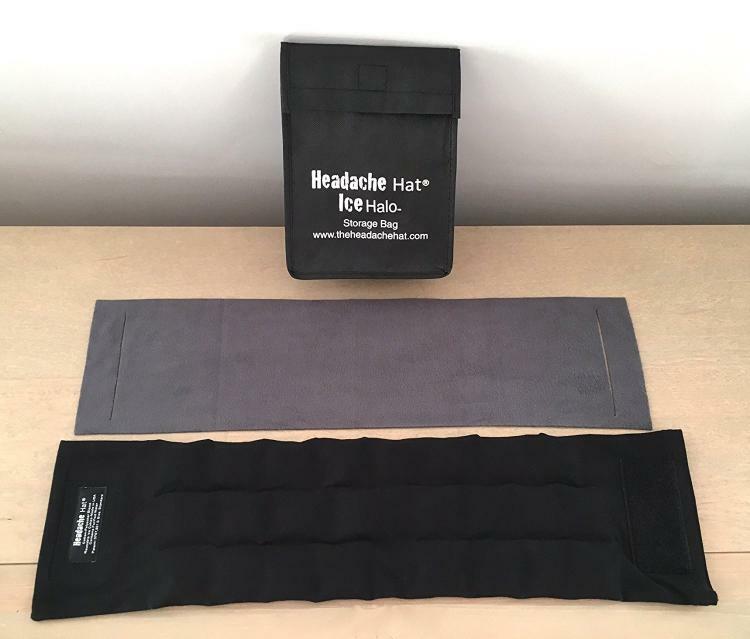 The headache relief hat fits heads up to 23 inches in circumference, should not be used more than 20 minutes at a time without first consulting your doctor, it weighs 1.3 lbs, and measures 23 inches long x 6 inches wide x 1 inch thick. 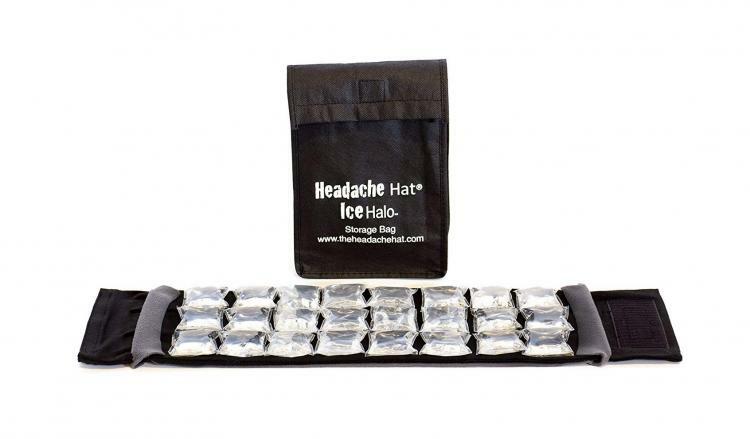 Check out the headache relief hat in action via the video below.